The most important and usually the most unobtrusive sight of Kazakhstan is the ancient “Great Steppe”, the birthplace of a lot of present nations of Eurasia and the keeper of numerous secrets of the past. 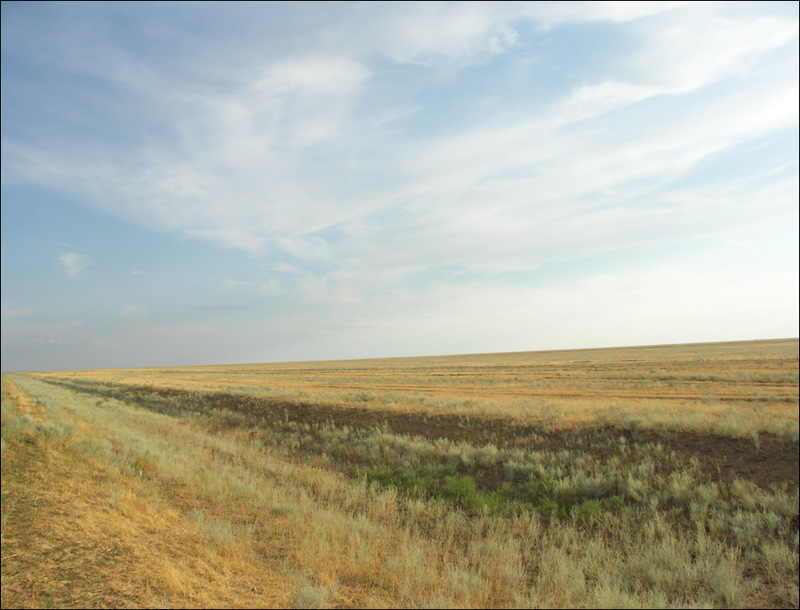 Despite the decades of nuclear tests in Semipalatinsk region and the plowing of the steppe land under crops, millions of square kilometers of this ancient natural complex preserved here in its original form. In April, the flowers and herbs are transforming the monotonous landscape ocher, which “explode” all shades of red, orange, blue and yellow flowers. Autumn is the time of harvest and wilting grass, when the markets are literally crammed with fruit recently collected, and the air is filled with the aroma of hundreds of species of grasses. 1 January, 2019 / Almaty - the view from above. 16 December, 2018 / Pristine Beauty of the Dzungarian Alatau. 29 August, 2018 / One Windy Day on the Singing Barkhan. Crossing the territory of Kazakhstan from north to south, you will find yourself not only in different climatic zones, but also in the same range of natural systems, each having its own unique flora and fauna - you can meet Russian birch near haloxylon and walnuts. 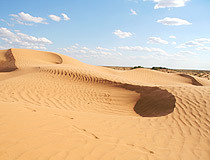 The deserts of Kazakhstan are the lands of lack of water and original natural world. The country has a lot of beautiful and diverse landscapes. The most popular ones are Charyn Canyon - the “younger brother” of the American Grand Canyon with the “Valley of Castles” and relict ash trees, the rocks Zhety-Oguz (Seven Bulls), Saki mounds Atybaydyn-Aktas (“White Stone of Atybaya”), Komirshi (Arasan gorge, Emirsay), gorge Karabulak etc. Almaty is a rapidly growing city founded in 1854 on the site of Kazakh settlement of Almaty destroyed by the violent invasions and wars. The town was constructed as Russian frontier fort named Verniy (Faithful), and was the capital of Kazakhstan before the end of 1997. Almaty is a clean city except for the air, the smog is frequent because the city is located in the intermontane basin. The city is easy to understand, with long straight streets and low architecture, bearing unmistakable stamp of Russian influence. Trans-Ili Alatau Mountains rise like a wall along the southern edge of Almaty and create the perfect backdrop when the weather and smog permit it. Everyone who arrives in Almaty admires its unique style, green dress of trees, mountain peaks, cascading fountains, straight wide streets, unique buildings and structures. Almaty city is full of parks, lots of free space and vegetation. A lot of the buildings of Soviet era are remarkably harmonious. There are numerous theaters, museums, parks, restaurants, nightclubs and casinos in the city. One of the main attractions of Almaty is Panfilov Park - the right rectangle of vegetation surrounding the bright Zenkov Cathedral - one of the few buildings of Russian Empire era, survived an earthquake in 1911 (especially if you pay attention to the fact that it was built entirely of wood and without nails). In the western part of the park excellent Arasanskie baths are located, where there are Turkish, Russian and Finnish saunas available. Central State Museum certainly deserves special attention for the excellent exposition on the history of Kazakhstan and a miniature replica of the “Golden Man” - main archaeological treasure of Kazakhstan. It is a warrior costume, made of 4,000 pieces of gold, decorated with animal motifs. 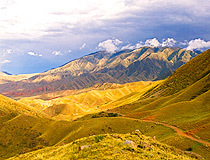 Almaty has repeatedly suffered from earthquakes (the last ones in 1911 and 1921) and mud flows (powerful anti mud flows structures were constructed, which themselves can serve as a landmark, because such constructions are unique in the world). Astana (until May 1998 Akmola, “White Grave”) is the present capital of Kazakhstan. The city started its history in 1830 with the building of the fortress Akmola. Until the 1950’s it was a small village of miners when Soviet leader Khrushchev announced Virgin Soils upturning campaign in which 250 thousand square km of Kazakh steppes were plowed under wheat fields. Akmola became the capital of this grand project, and was renamed Tselinograd. Today Astana is a friendly city, with a small number of attractive, tree-lined streets, but prone to strong steppe winds. The population of the city is mostly Russian (60%) and Kazakh (30%). Astana operates a number of higher educational institutions, including the Eurasian University named after L.Gumilev, three museums, two drama theaters. It is planned to establish National Library, National Museum, Art Gallery of Modern Art, Center for Social and Economic Technology, Business Center, Children’s park, water park, cultural institutions and health care centers in the city. At the moment there is no intention to move the embassies, consulates and other official agencies from Almaty city to Astana, so the only reason why tourists appear in Astana - the transit to Karaganda and other regional centers. Shymkent was one of the largest cities in the Middle Ages located on the Great Silk Road. 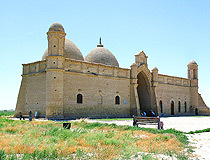 Regular Shymkent city tours attend the “Holy Place” in Sairam district and “Arystanbab” (the place of worshiping the saints). In the ancient city of Turkestan the mausoleum of Khoja Ahmed Yasawi built in the 12th century is located. Tourists are able to get acquainted with the historical facts of the life and work of Khoja Ahmed Yasawi and to see other attractions of the city, to visit the well-known Turkestan fair or famous Turkestan mosque. In Tamgaly-Tas there is an interesting gallery of carvings (Buddhist petroglyphs of the Bronze Age). In Karakol the Memorial to famous Russian explorer and scientist Przewalski, Dungan mosque and Russian church are located. Aktau city, lying between the desert and Caspian Sea, is one of the world’s largest settlements located in places where human life seems almost impossible. Aktau does not exist at all until 1963, when there suddenly appeared in an exemplary wide and straight streets, cultural institutions, desalination plants, gardens and parks. This “miracle” occurred after the nearby uranium deposits were found. Thanks to its sandy shores Aktau city also developed as a private resort for the “Soviet elite”. 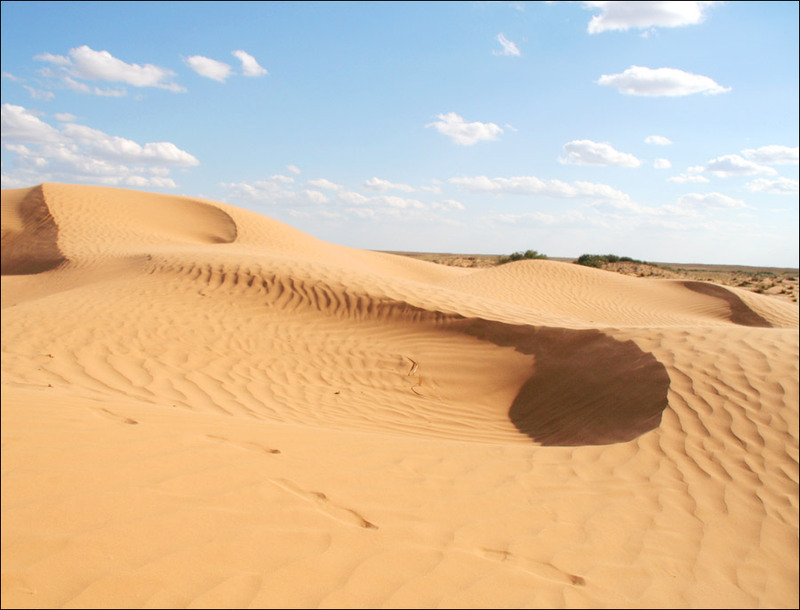 Tourism and uranium extracting are currently in depression, so that Aktau now lost much of its former appeal. Improbability of the existence of Aktau is increased by the fact that the city is located hundreds of kilometers from any other city, and not bound by any decent roads (most of the traffic is carried by sea) from any point in Kazakhstan. 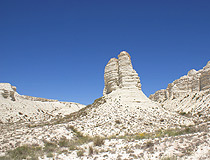 Surroundings of Aktau city (in places where there are no pits) abound in the unique desert landscapes of Mangyshlak plateau - erosion and desert as “corroded” solid rocks that they formed thousands of tiny canyons, miniature mountain ranges and dozens of deep depressions filled with saturated salt water. 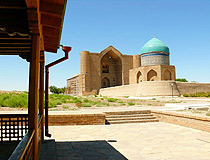 Taraz city was one of the largest cities in the Middle Ages, one of the centers of Great Silk Road. 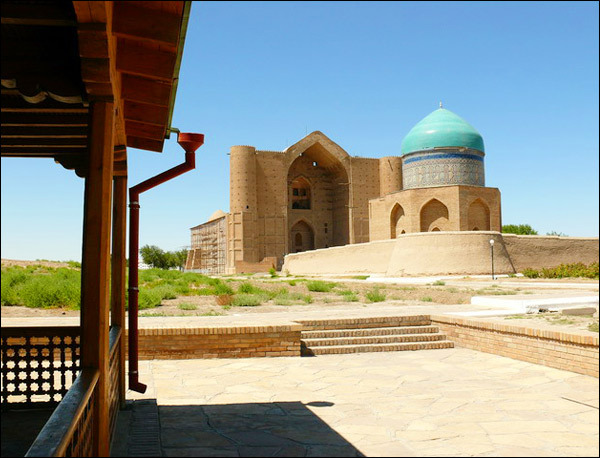 Among the main attractions is a tour of the sights of the city, the Museum of History, Aisha-Bibi Mausoleum - a place of pilgrimage for Muslims, an architectural monument of 12th century, and the Mausoleum of Sypatay Batyr. 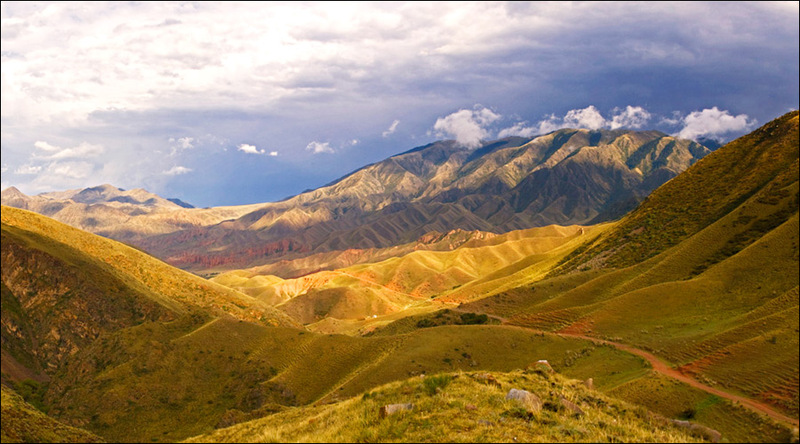 Trans-Ili Alatau and Kyongey-Alatau mountains are one of the biggest attractions for Kazakhstan travelers - 4,000 m altitude plus the majestic mountain peaks filling two ridges from east to west between Almaty and Lake Issyk-Kul in Kyrgyzstan. It is a beautiful area of mountain glaciers, wild rivers and steep valleys used by nomadic herders as summer pasture, as well as excellent trekking territory for travelers. There are many excellent mountain trails of very different length and steepness, including a tour directly on the mountain slopes to the lake Issyk-Kul. The season lasts from June to September. Khan Tengri is one of the most beautiful mountain peaks of the world and the dream of every climber - a majestic seventhousander of northern Tien Shan. The peak is so popular because of its unusually beautiful form of a perfect pointed pyramid. At the time of sunrise and sunset, a mountain is painted in bright red. Therefore, it is shrouded in ancient legends. Since 2000, in August the peak is the place of International Festival Khan Tengri, which includes the ascent to the peak, marathons on its slopes and various competitions in extreme types of mountain tourism. Kul-Seye (Kolsai) lakes are three pretty green lakes filled with pure glacier water located in the steep forest foothills of Kyongey-Alatau, about 110 km to the east of Almaty. The lakes were formed by the river Kul-Seye (Kolsai) at an altitude of about 2,000 m. Here, the conditions for camping, recreation and fishing are excellent. June and August are the best months to visit these places, but you need to closely monitor the weather because it is very changeable in the mountains. Travelers can arrange helicopter excursions to the lakes from Almaty, or on foot from Saty, lower lake is available to vehicles, but much more interesting is the horse tour to the lakes on the picturesque mountain trails. 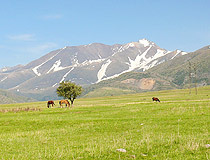 From the mountain pasture near the middle lake, on 3-km ridge of Sary-Bulak, you can make a horse trip to Kyrgyz village of Balbey on the shore of Issyk-Kul. 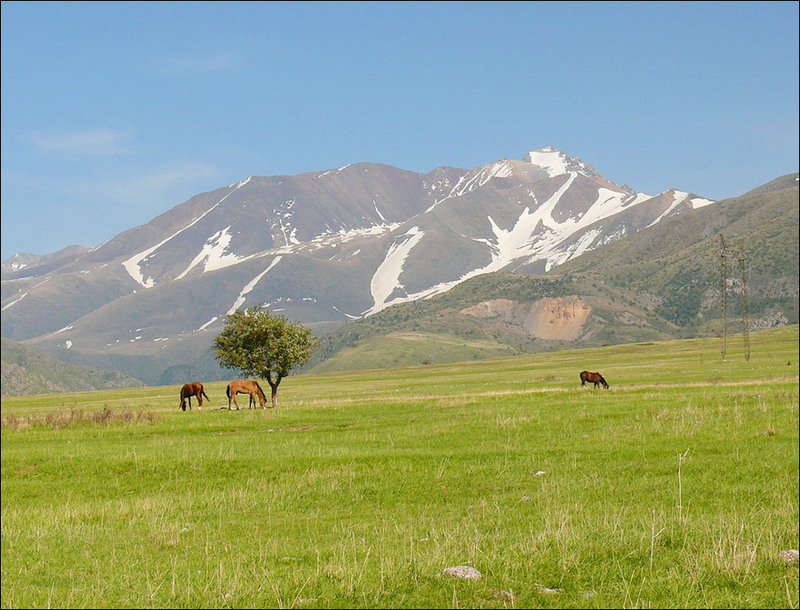 Fantastic panorama of Kazakhstan northern steppes and Issyk-Kul south basin opens up from the mountains pass. Lake Balkhash, which lies in the eastern part of Kazakhstan, is a unique natural formation. Balkhash is huge in size, but very shallow. 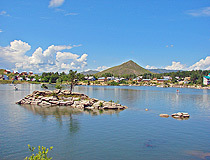 The eastern part of the lake has salty water, while the western part - completely fresh, so even the fish species that live in different parts of the lake, are different. 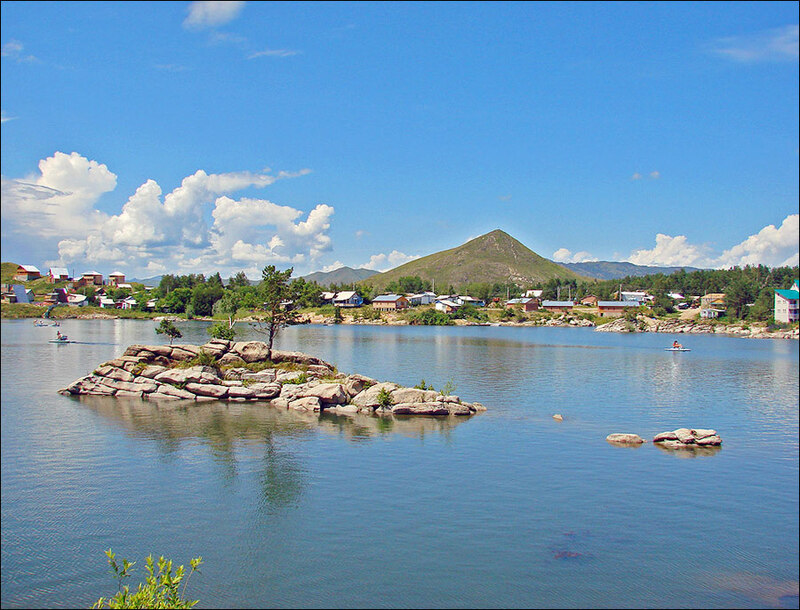 Among the other major lakes of Kazakhstan everyone can visit the beautiful Zaisan Lake in the east, Alakol in the south-east, and Tengiz in the center. Nevertheless, in Kazakhstan, there are almost 7 thousand natural lakes, the total area of water surface is more than 45,000 sq. km. 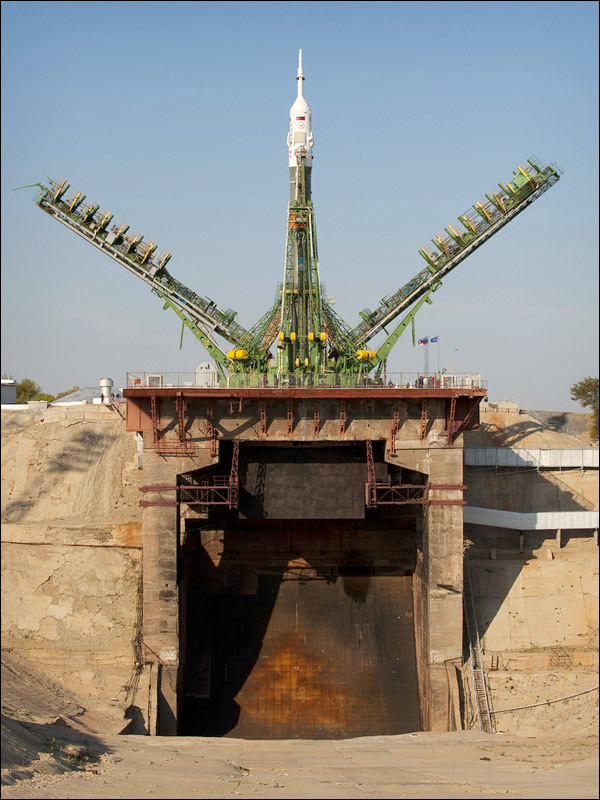 Also the last but not the least attraction of Kazakhstan that we should mention is the first in the world outer space port located near Baikonur city. 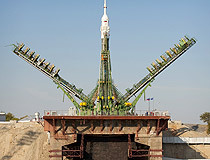 It was there, from Baikonur cosmodrome, that the spaceship “Vostok” with a cosmonaut on board was launched into space. Thus Yuri Gagarin, a citizen of the USSR became the first man ever to have stepped into the expanse of the universe. Bob Dalton asks: Does a British tourist to Kazahkstan need a visa? According to the site of the embassy of Kazakhstan in the UK, citizens of the United Kingdom are exempt from visa requirements for visits up to 15 calendar days from the moment of crossing the state border between July 16, 2015 to December 31, 2017. 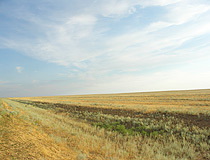 The best seasons to travel to Kazakhstan are spring (April-May) and autumn, in summer it is too hot. Evert asks: How much money you may take in to Kazakhstan when you come from another country? Thank you. There is no limitation how much money (cash) you may take when entering Kazakhstan, but you can't leave Kazakhstan with the sum more than 10,000 USD without documents explaining the origin of the money. If you enter/leave the country with the sum more than 3,000 USD it is the subject of written declaration at the customs.